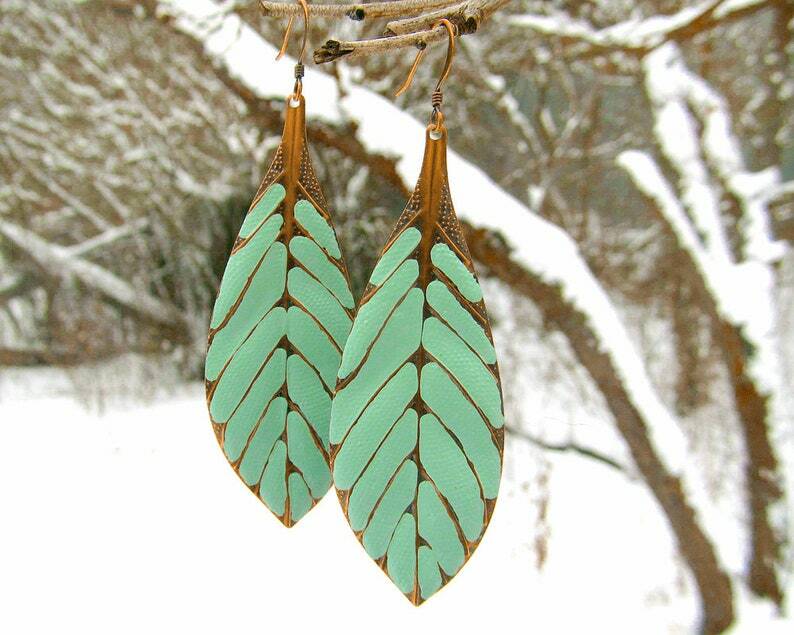 Long leaf earrings are eye catching! I love creating big earrings that are super lightweight and these sure are light. I hand painted thin metal antiqued copper stamped metal charms a creamy turquoise green / sage green. The tapered leaf shape also resembles a feather. I got these for a friend and they are exactly what I wanted! They are lightweight but sturdy. I love the colors!! These earrings are so chic looking, and even more beautiful in person! I bought them for my daughther’s teacher and she adores them! The seller was so kind and shipped them out instantly!